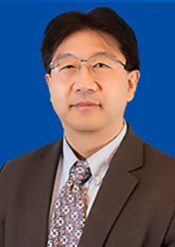 Professor Mo Li received his Ph.D. in applied physics in 1994 from California Institute of Technology under the supervision of Professor William L. Johnson and Professor William A. Goddard. After a brief staying as a postdoctoral fellow at Caltech and the Argonne National Laboratory, he joined Morgan Stanley & Co. in New York. He came back to academia in 1998. From 1998 to 2001 he was an assistant professor at the Johns Hopkins University. Currently he is a professor at the Georgia Institute of Technology.